Samsung is working on a biosignal ID system for smartwatch payments, according to a newly discovered patent. The system, detailed by Patently Apple, is designed to authenticate the wearer's identity in order to allow mobile payments straight from the wearable. It does this by taking a biosignal reading - we're not sure what yet - at set-up and then comparing this to further measurements when you want to pay for something. Other than a reference to a gesture performed by the user to allow the reading at set-up, it's also not clear how long this authentication process would take and whether it could be bypassed for smaller transactions, as with bPay and contactless cards. What we can gather is that it will tie in with LoopPay, a mobile wallet company which Samsung now owns. Biometrics will be big business for wearable tech companies in the next five to ten years. And there's no rules on who does what. Cityzen Sciences, for instance, which makes a smart sports shirt, is in talks with banks and insurance companies over its ECG tech. Here's some more ideas for Samsung's smartwatch payments plan from the wearable tech world. This wrist-worn device measures your ECG - a graphical representation of your heartbeat - that's as individual as scanning fingerprints or retinas. The Nymi checks your ID and then keeps you 'signed in' until you remove it from your wrist. 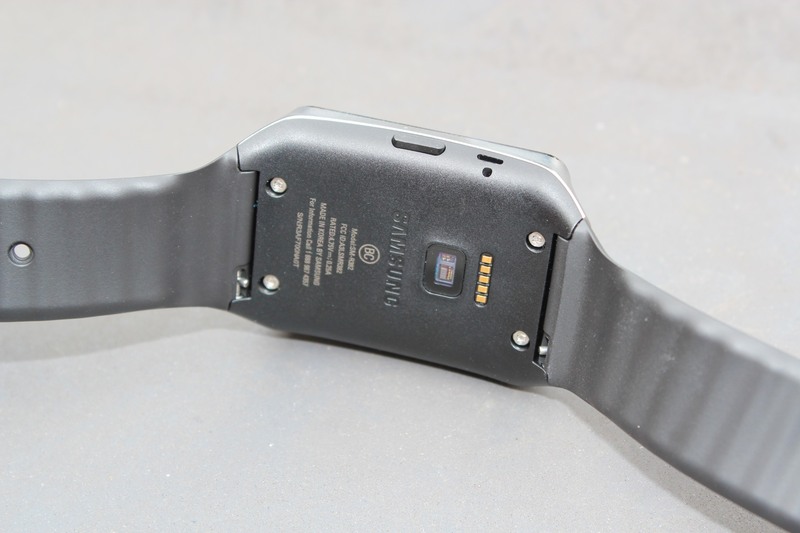 If Bionym's tech were integrated into a Samsung smartwatch, that would solve the mobile payment security problem. Apple's first smartwatch does read your heart rate but there's no TouchID fingerprint tech on the watch itself. Apple describes the Watch and Apple Pay experience as simply double tapping the button below the digital crown and holding it up to the contactless payment system. This relies on you uploading credit card info to the Apple Watch's version of Passbook with the security of the transaction perhaps relying on the fact that you have the Watch and the iPhone together. All we know for now is that Apple Pay uses TouchID when it's iPhone-only. Barclaycard hasn't confirmed anything yet but a couple of modular smartwatches have set their sights on integrating similar NFC chips to its bPay experiments. Attach a debit or credit card then wave to pay for transactions small enough not to need ID every time, just like with contactless payment cards. It's designed for quick payments in shops, cafes, restaurants, at festivals and when travelling. The makers of the soon-to-be-Kickstarted Blocks smartwatch are interested in supporting a bPay module and Pebble's founder Eric Migicovsky says mobile payments is one of the reasons his company has created its modular Smartstraps platform.